The clever complete solution MultiVario 2082 integrates the advantages of the parker versions available, is not bound to fixed grid sizes, and offers maximum flexibility with unrestricted design options. The MultiVario can also be subsequently adjusted to changed vehicle dimensions. You can create your perfect MultiVario solution with our planning software ProDesigner. To do so, follow the link: https://prodesigner.multiparking.com. 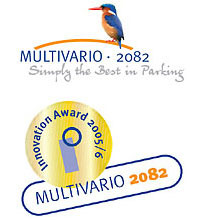 The MultiVario 2082 from KLAUS Multiparking was awarded the innovation price. The MULTIVARIO integrates 5 parking systemsinto one unit, meaning that instead of worryingabout 5 variants, one MULTIVARIO does it all. All the benefits of previous versions such aseconomy of space and parking comfort feature once again in the Multivario. With the MULTIVARIO you can select the pit and height dimensions easily and flexibly. 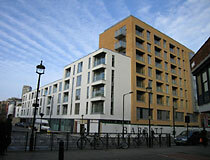 Theoptimum installation begins with a pit depth of 175 cm and a height of 325 cm. No more fixedgrid sizes. 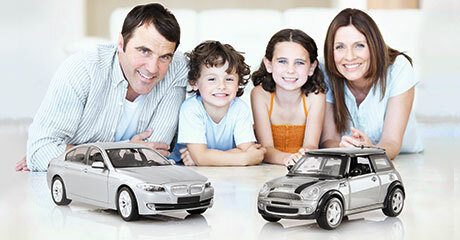 Every available cm is utilized for the vehicle and your comfort. 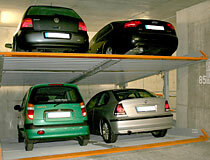 And if there are not enough height and pit depth available – a reduction of the platform incline by already 1 degree will reduce the space requirement by approximately 5 cm – without reducing the actual parking space! And…the MULTIVARIO can also be adapted for different vehicle dimensions in the future. Your requirements change, and the vehicle changes; today a sporty two-seater, tomorrow a family carriage, and maybe the day after a 4×4 for off-road comfort. The Multivario satisfies all of these demands.